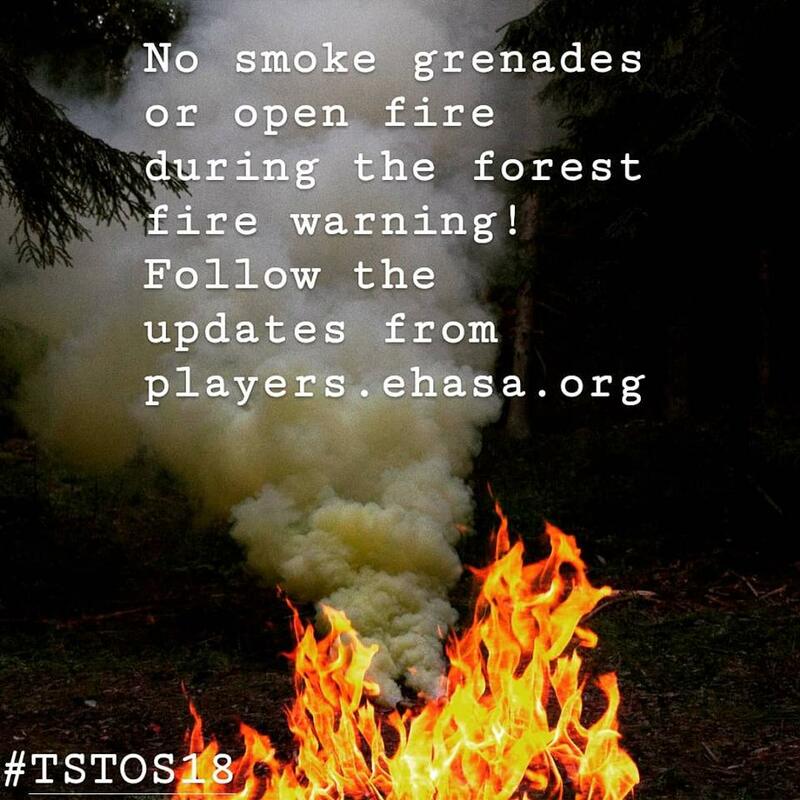 No exploding grenades or open fire during the forest fire warning. Camp cookers (Trangia etc.) are allowed on a non-flammable surface.